Moose Hollow Lodge is an amazing luxury Pigeon Forge cabin rental, wedding venue and heated indoor pool cabin. 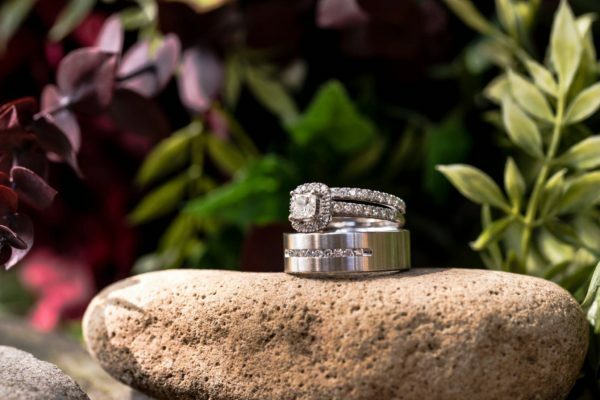 Our Smoky Mountain cabin rental and Pigeon Forge wedding venue offers the finest luxury cabins in the Smoky Mountains. 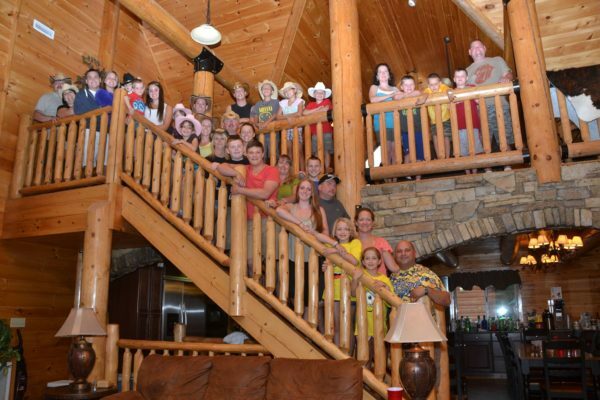 Specifically, our large luxury Smoky Mountain cabin has 9 bedrooms and sleeps 56. 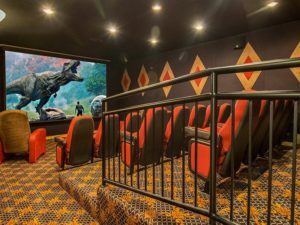 Furthermore, our 22-seat movie theater, arcade, free high-speed internet in a private setting will wow all your friends and family. Moose Hollow Lodge, Pigeon Forge cabin rental, is a luxury Smoky Mountain cabin that is 9 bedroom and sleeps 56. While two master bedrooms contain three king beds, four rooms have two queen beds and three rooms have bunk beds. Most of all, we keep your comfort in mind by designing and furnishing with the finest linen and mountain decor. Therefore, If you are looking for a private setting and all the luxuries of home, then look no further. Enjoy the many amenities for people of all ages at this Pigeon Forge large luxury cabin rental. Fun times also include hot tubs, pool table, arcade, air hockey, indoor swimming pool, movie theater, card table, and more. These amenities make this lodge the most original Smoky Mountain cabin. Our Luxury cabin in the Smoky Mountains has everything you would find in any 5-star luxury resorts around the world. You are the organizer of your event, therefore don’t disappoint! Make a most noteworthy impression on your guests by sharing either our Facebook or Pinterest pages to build on ideas. 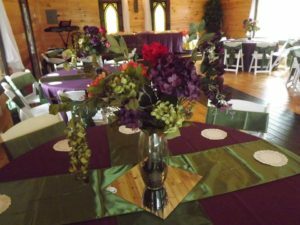 Rent our Pigeon Forge cabin rental as your cabin wedding venue, family reunion, or church retreat. 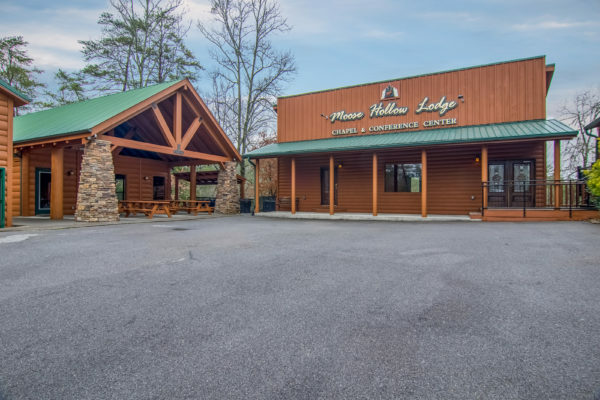 Moose Hollow Lodge is one of the largest Pigeon Forge cabin rentals in East Tennessee. 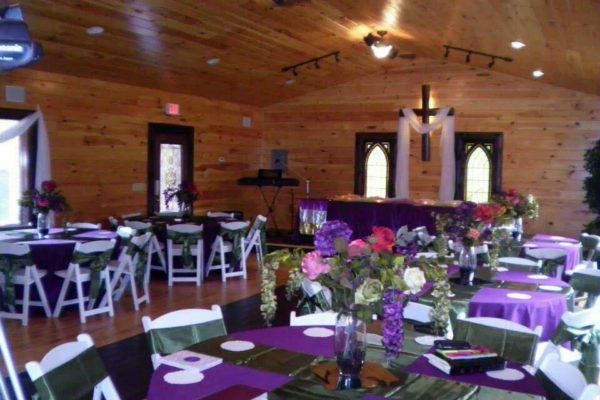 Check out our Pigeon Forge wedding chapel and conference center. We are the only Smoky Mountain resort that allows you to rent the entire resort for your own private use. Nothing compares to Moose Hollow Lodge! Check out all these amenities that make this lodge the most original and luxurious log cabin in the Smoky Mountains. Our luxury cabin in the Smoky Mountains has everything you would find 5 star luxury resorts around the world. Also, check out the many reasons to visit, check out our blog page. 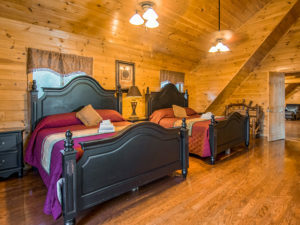 Moose Hollow Lodge, Pigeon Forge Tennessee Large Luxury Cabin Rental, can gather up to 56 people comfortably under one roof. The best parts of our luxurious log cabin are the incredible views of the Great Smoky Mountains. The heart of Pigeon Forge, TN is just 7 miles while Gatlinburg, TN is 15 miles from the lodge. You will also receive amenities including Wi-Fi, theater room, indoor pool, gourmet kitchen, and so much more. Our cabin provides premier accommodations for your group get-together with the fondest memories to last a lifetime. Connect with God and plan this year’s mountain retreat at Moose Hollow Lodge. We have hosted 100’s of mountain retreats for various churches, women’s retreats, youth groups and more. Our Pigeon Forge Large Luxury Cabin Rental in the Smoky Mountains will allow you to rejoice. Just imagine bringing your ministry and having daily or Sunday worship while vacationing in the Smoky Mountains. Our chapel is on location and has ample space for prayer, worship and events to suit all your needs. Remember, our luxurious lodge sleeps 56 and offers amenities in order to ensure your stay is relaxing, spiritual and memorable. In addition to our wedding venue, our corporate meeting facility has the latest in audio-visual equipment. Also provided are wireless speaking MIC’s, a 7.1 surround sound system and an 80″ LED television. You are also welcome to bring your own HDMI cable and display your presentation on the TV. As always, the use of 60 chairs and twelve tables are provided at no charge. Booking your retreat location seems like a lot to consider because you want everything to be perfect. In conclusion, BOOK ONLINE or CONTACT US while we still have availability in our luxury Pigeon Forge cabin rental in the smoky mountains.